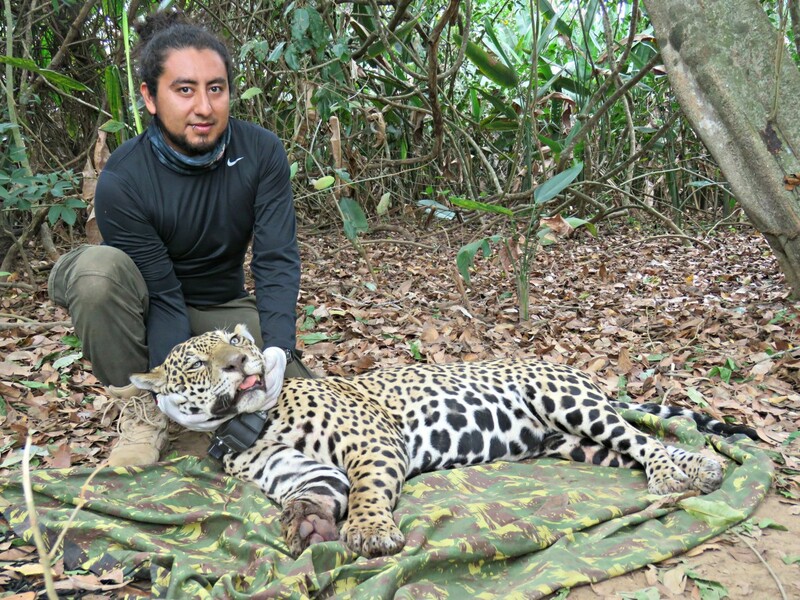 Conservation of Jaguar and their prey in Osa Peninsula, Costa Rica. Historically, the Osa Peninsula on the southern Pacific coast of Costa Rica has hosted one of the most important population of Jaguars in Central America. Despite the great almost pristine conditions of their rainforest, strong hunting pressure on the jaguar’s natural prey and jaguar-human conflict have diminished their numbers rapidly in recent years. My study aims to understand the movement patterns and population ecology of jaguars and their primary prey species in both protected and non-protected areas by using camera trap surveys and GPS telemetry. By doing so, I hope to create new strategies for their conservation. Montalvo, V.H., Alfaro, L., Saenz, C., Cruz, J., Fuller, T.K., & Carrillo, E. 2016. Factors affecting jaguar and puma predation on livestock in Costa Rica. Wildlife Biology in Practice 12(1):32-42. Alfaro, L. D., Montalvo, V., Guimaraes, F., Saenz, C., Cruz, J., Morazan, F., & Carrillo, E. 2016. Characterization of attack events on sea turtles (Chelonia mydas and Lepidochelys olivacea) by jaguar (Panthera onca) in Naranjo Sector, Santa Rosa National Park, Costa Rica. International Journal of Conservation Science 7(1):101-108. Mazzolari, A., Pardo, L., Monge, O., Montalvo, V., Armero-Duran, D., Cruz-Diaz, J., Orias-Hidalgo, N., Rodríguez, V., Sarmento, M., Tovar, A., Vargas, E., & Wong-Reyes, G. 2012. Percepción sobre la vida silvestre desde diversas visiones religiosas: Una herramienta para promover la educación ambiental en la Península de Osa. Cuadernos de investigación UNED 4(2):223-229.